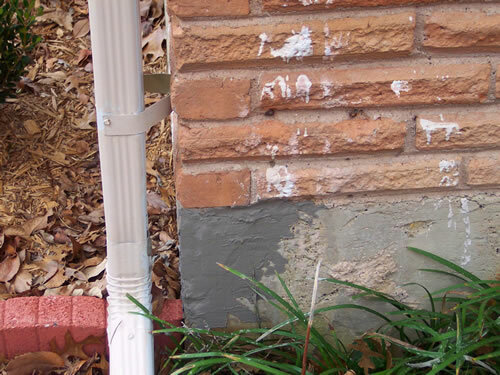 Repair and re-point with zero tear out and perfect color matches. 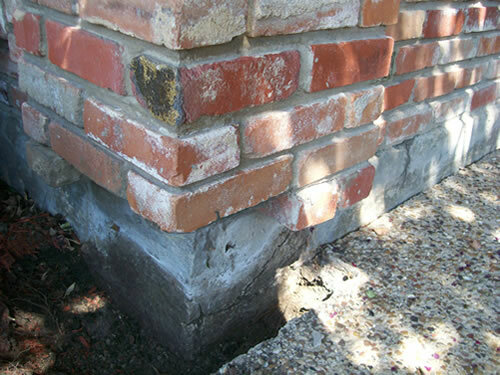 Our Goal is for repairs to be Undetectable when the work is complete. 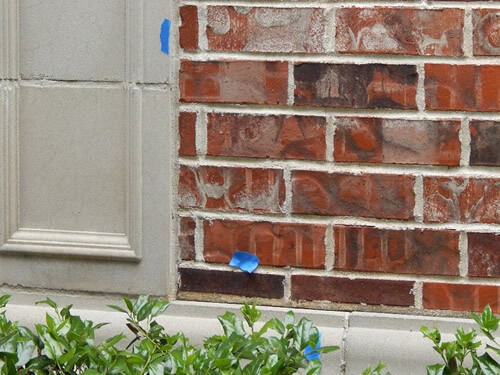 Before we begin any project, our Certified Restoration Specialists do a meticulous walk through and add blue tape to every area of repair, according to the layout and bid sheet. 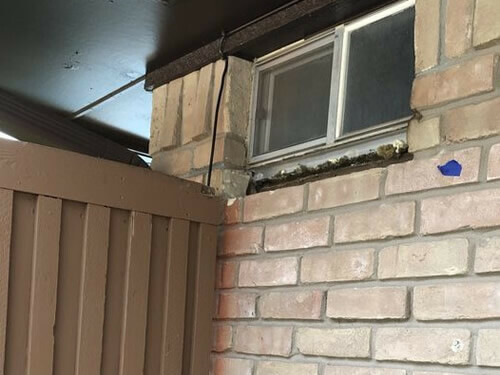 Our supervisors will be there to check on the job and introduce himself and will be available if you have any questions or concerns. 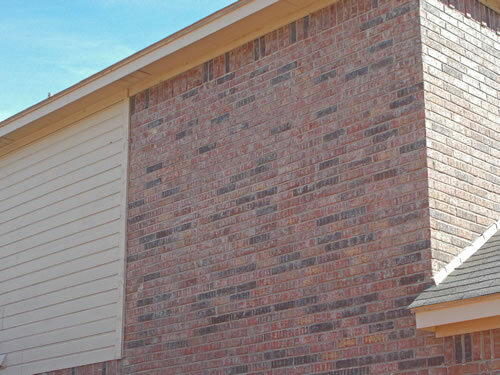 We will do a Walk Through with you when the job is complete to make sure you are satisfied with our work. 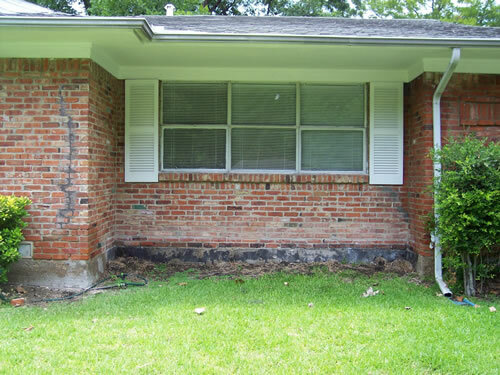 This older home was in sad shape. 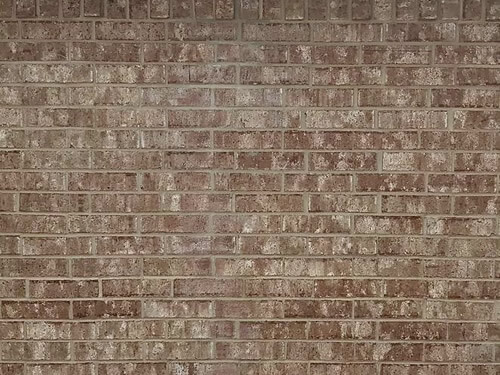 After foundation repair Artistic Masons brought her back to her former glory. 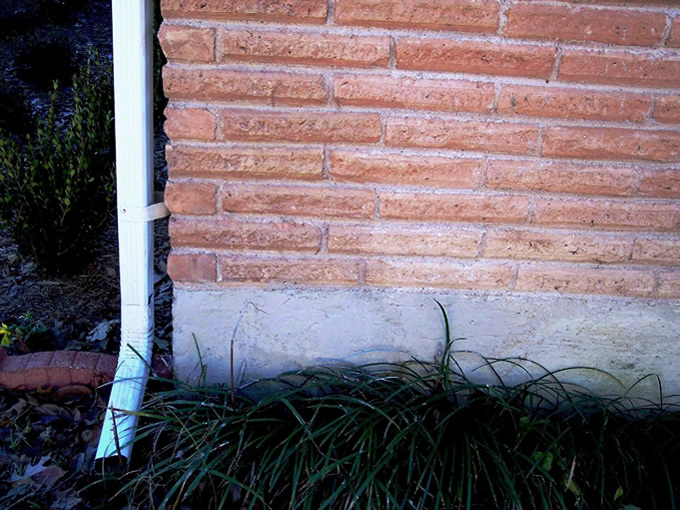 Corner Pop damage isn’t necessarily a foundation problem, it can be Stress Cracks cause by soil movement. 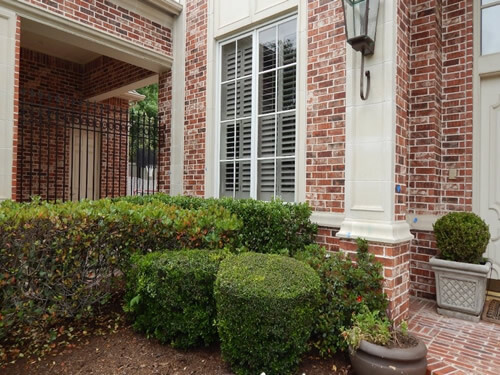 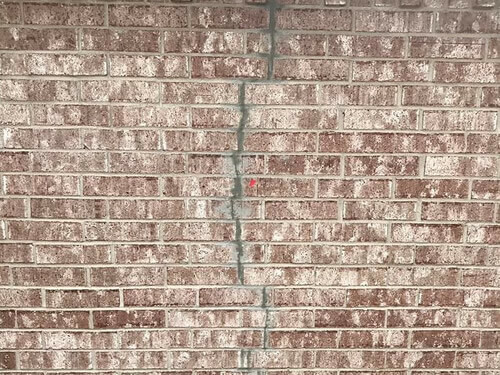 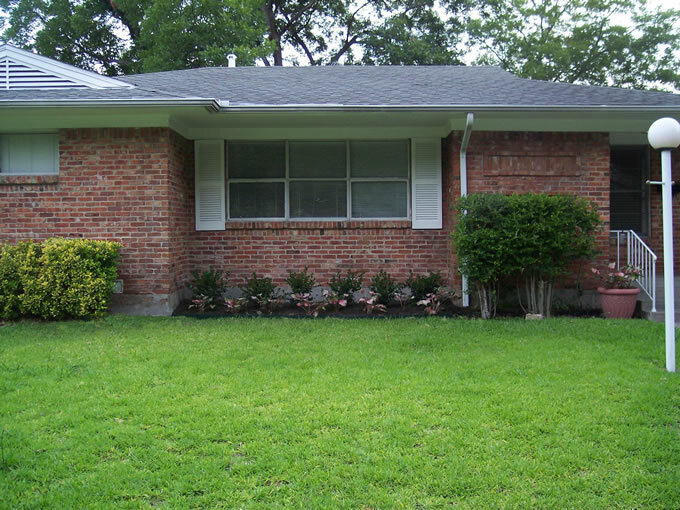 The clay soil in the North Texas area swells and contracts with the wet and dry weather causing the brick and foundation to move and crack. 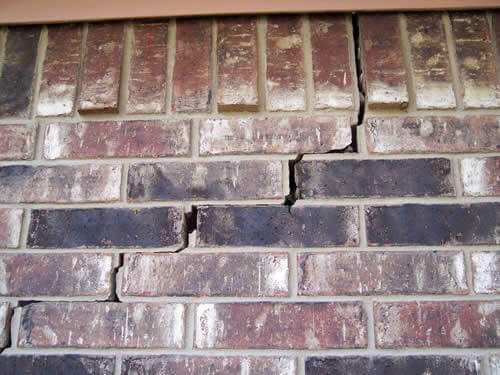 In severe cases it will cause foundation damage. 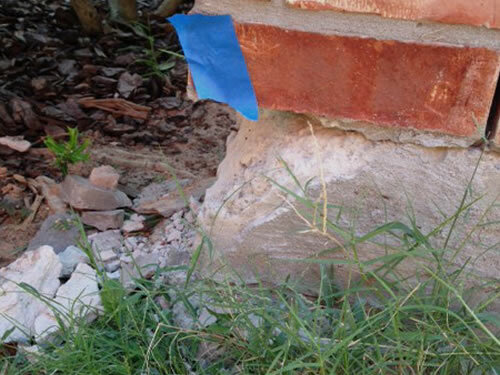 Our concrete mixture help create repairs that are virtually undetectable. 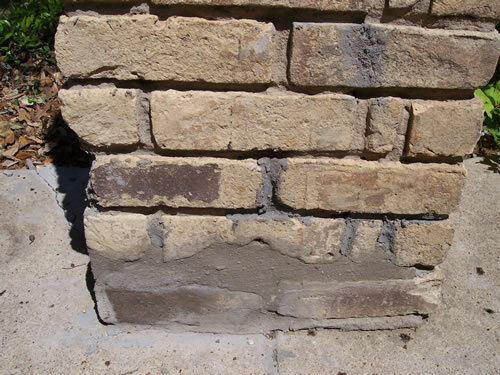 Traditional concrete is rated at 2500 psi; our concrete product is engineered to a 4200 psi rating and has a bonding agent. 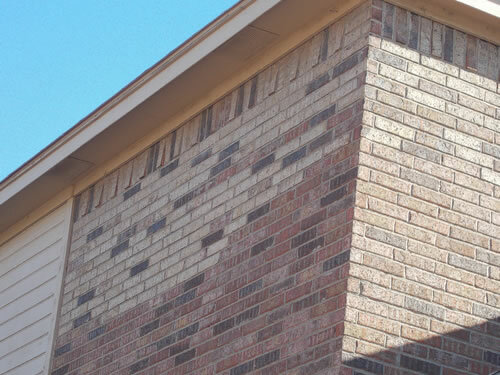 Artistic Masons can easily make seamless repairs, however the corners may get hairline cracks again over time. 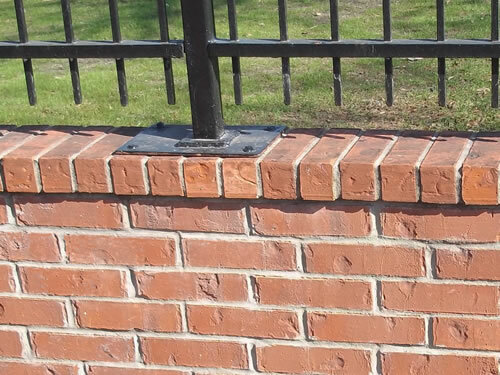 Artistic Masons can sculpt with our cement product and repair missing brick and then re-stain it to match the original. 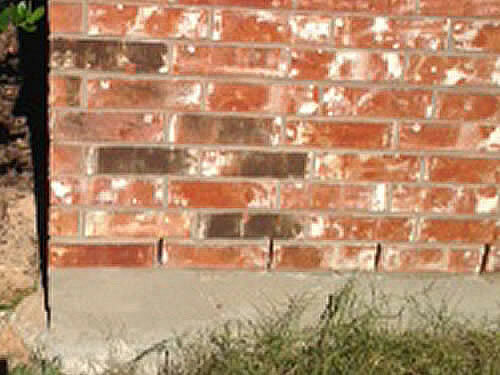 Artistic Masons are Restoration Specials. 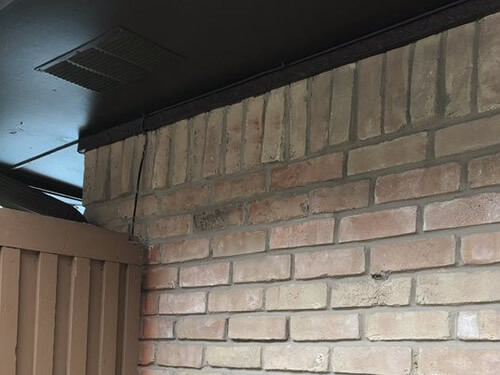 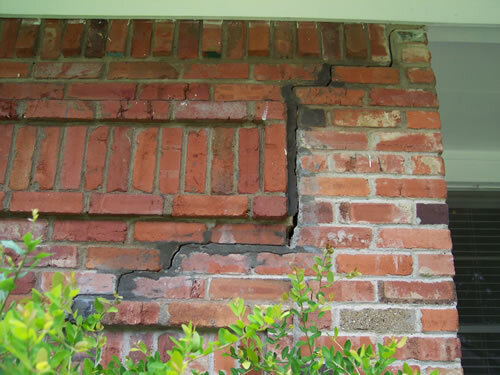 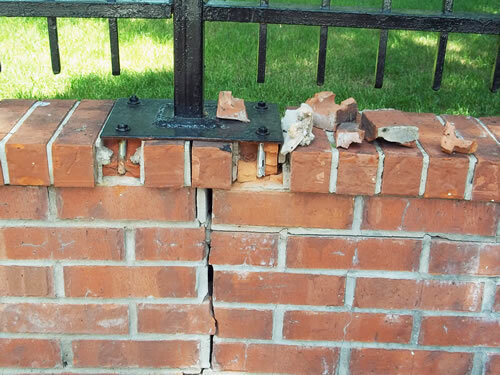 We do small structural repairs, but we do not install brick on large areas. 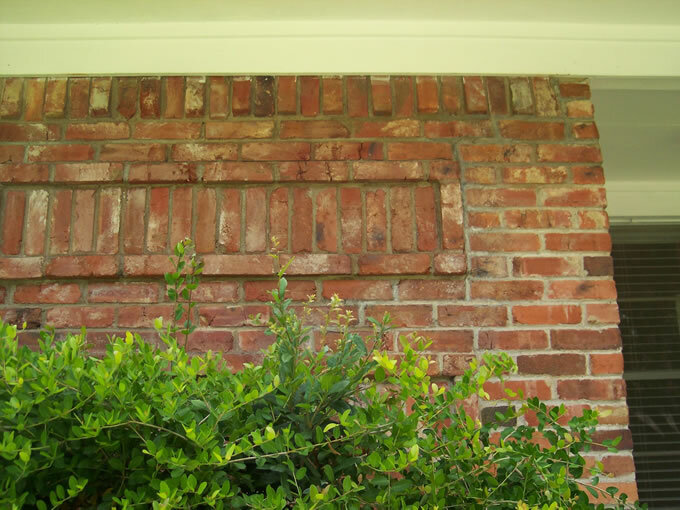 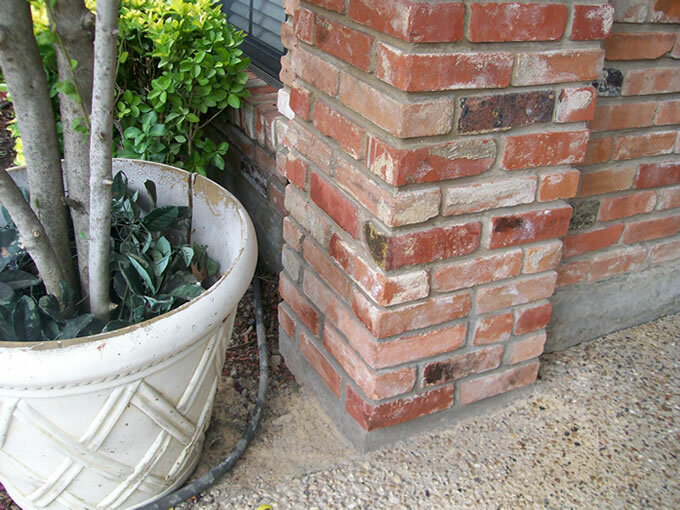 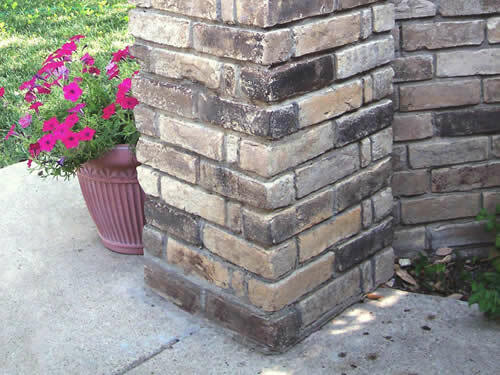 However, if you install brick the same size and texture, we can restore the color to match any brick. 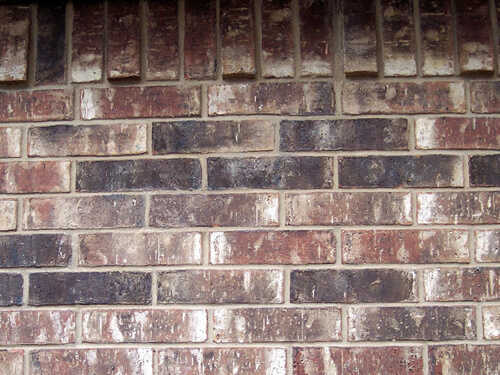 We can do this even if the original brick is multi-color and the replacement brick happens to be white.